Hi, I'm Tanya and I blog at 52 Books or Bust. For this post, I scoured the internet looking for a photo of my childhood library, but to no avail. Sadly, it no longer exists, but it was perfect in every way. Close your eyes and imagine with me a small, red brick, old one-room church. Keep picturing it, but make it even smaller. It really was a small building, a re-purposed Lutheran church, in fact. First thing when you walk in the tall, wooden double doors at the front is the librarian’s desk. No computer upon it – this was back in the days of manual check out. And always several piles of brightly coloured construction paper bookmarks. But beyond her desk just rows of four foot high bookshelves with an aisle down the centre. I have no idea what kind of books were on the left side of the library – non-fiction? Picture books? Complex tomes of astrophysics? But I can still picture where all my favourite books were located. The Borrowers series by Mary Norton were hidden, appropriately enough, on a bottom shelf right beside the wall. Choose Your Own Adventure were on a top shelf about half way back. Who knows where the Little House on the Prairie books were, I had those at home. At a certain age the Children’s Library became less appealing. Everything about it was small. The four foot tall shelves could be easily seen over, the chairs were tiny and the books? Well, juvenile. This meant crossing the bridge to the world of the adult library, and I’m not talking figuratively here. There was literally a glassed in walkway joining the buildings of the two libraries. While the Children’s Library was cute, warm and welcoming, the Adult section was a vast sea of full height stacks filled with books of knowledge. The pervading silence of the place was broken only by echoing footsteps, the sliding of card catalogue drawers and the occasional whisper. And the smell! Breathe it in, for this place smelled like books in the best way possible. Though intimidating at first, the Adult section slowly became more familiar and seemed to change with me. Soon after I started using it computers were introduced, adding a soft pitter-patter of typing to the silence. 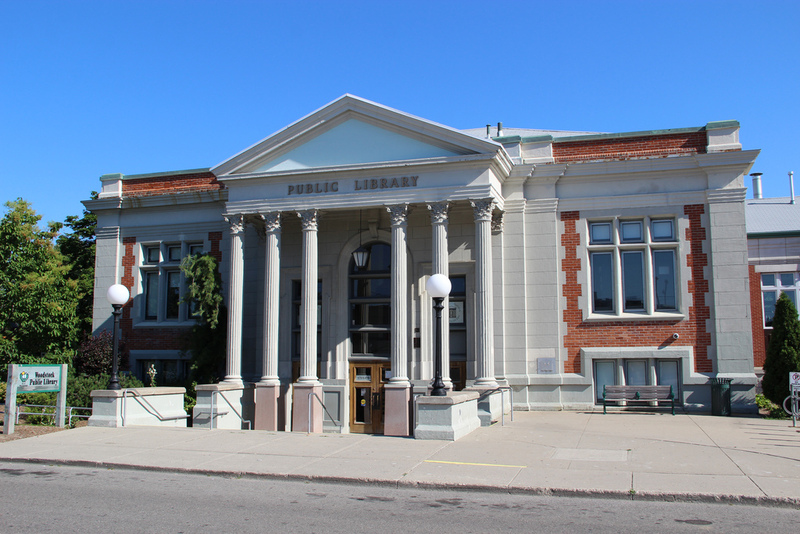 The two different worlds of the Woodstock Public Library, contradictory though they may seem, shaped my expectations for all libraries to come. A great library needs to be a warm and welcoming place of exploration. But the intellectual in me also wants the appearance of an erudite place of knowledge and learning. My current library is a 1960s monstrosity of utilitarian design. But as soon as I walk in the door there is a certain warmth that welcomes you. I love it, just as I’ve loved all my various local libraries. Tanya really places us into these libraries! Leave a comment for Tanya below! What a wonderful picture you're painting here. Almost Bradburian. 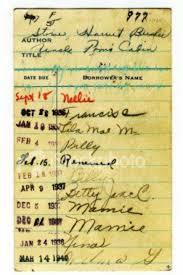 It seems to me like libraries will never be the same as they were before the computers and e-books.